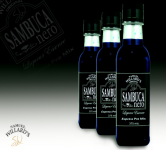 Samuel Willard’s Express Premix Selections are essences which produce 1125mL of spirit from each 375mL bottle. No messing about with powders and constant stirring. 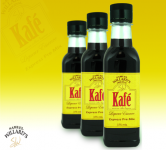 Just add to your alcohol and Shake to Make! Limoncello liqueur is the second most popular liqueur in Italy. 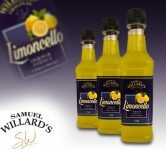 Traditionally, limoncello is made from the zest of Femminello St. Teresa lemons, The fresh aroma and taste of lemon makes an ideal refreshing summer drink. A blend of Cherry, Chocolate and Coconut this premix is the perfect dessert drink and is like a liquid Cherry Ripe chocolate bar. 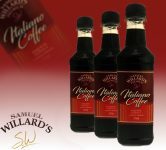 Enjoy Samuel Willards Cherry Chocolate Premix neat, with your favourite mixer or in cocktails. Blended with specially selected herbs and spices this whisky Premix is in the style of Drambuie and is a classic after dinner drink. 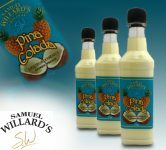 Samuel Willard’s Pina Colada Crush is a tasty tropical drink made up of white rum, coconut cream, and pineapple. It can be blended, frozen, or simply mixed with ice. Turkish Delight is an amazing concoction. 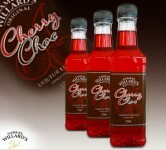 Shake well and enjoy the authentic flavour and texture of a Choc-Rose Liqueur. Best enjoyed neat over ice, or as mixer with lemonade, Milk or in Cocktails. 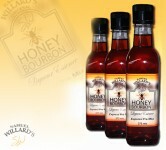 When you blend this exceptional fresh honey Bourbon, the smooth flavour cannot be resisted. 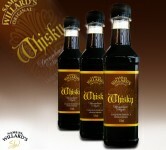 Poured over a few ice blocks or with your favourite mixer. 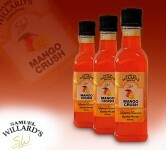 Samuel Willard’s Mango Crush made using the freshest Australian Mango and Cream Flavours to create a sunset coloured Summer Delight.